Hello, friends! It's that time of year! Yup. It's time to GO GREEN! Here in Boston, St. Patrick's day is a BIG deal. That being said, I can't say I send cards for it. But that doesn't stop me from pulling out some green here and there just for fun! This week, the Simon Says Stamp Wednesday Challenge is to do just that! Use Just a Bit O' Green! The Design Team is playing with Clearly Besotted products this week. You don't have to use them to play along, but if you've got some, we'd love to see how you rock 'em! They have the BEST designs! I absolutely LOVE Clearly Besotted! I pulled out the Clearly Besotted Sketched Blooms stamp set and my Spectrum Noir markers to create this simple, pretty card. A bit of twine finishes it off perfectly! Now it's YOUR turn! One lucky participant is going to win a $50 Gift Voucher to the Simon Says Stamp Store! WHAT?! Yup. LUCKY, indeed, my friends! 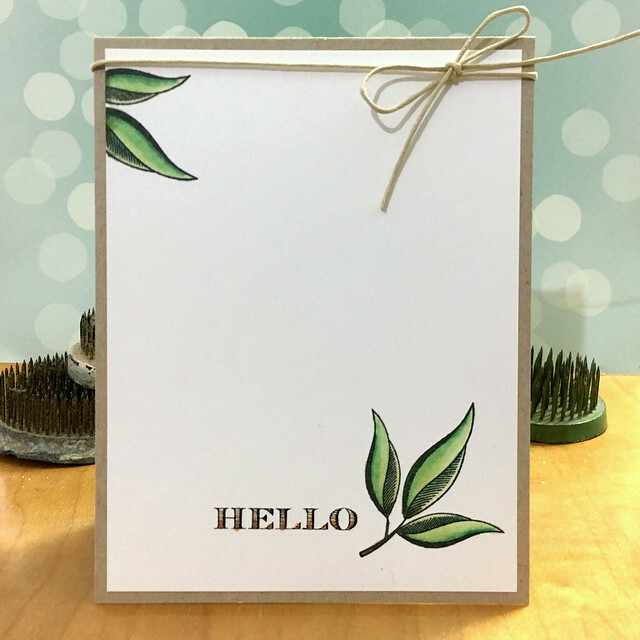 Create a new design using GREEN somewhere in your project and link it up over on the Simon Says Stamp Wednesday Challenge blog for your chance to win! A beautiful card Jennifer. I love the CAS design with a super twine and sentiment!! Gorgeous CAS card, Jennifer! 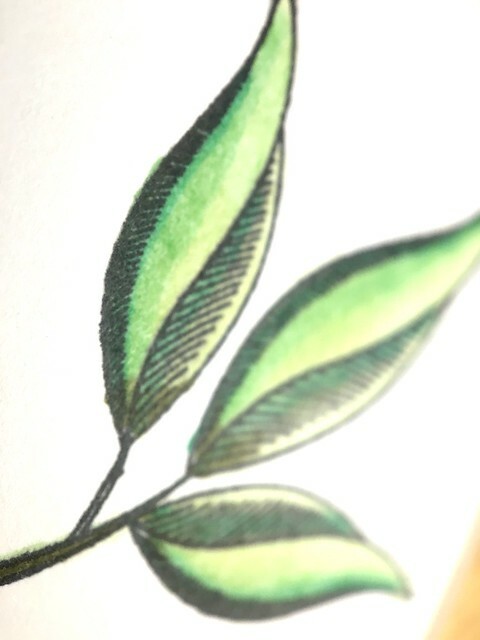 Expertly colored leaves!! Sweet and simple, Jennifer! The twine is the perfect finishing touch! Perfect CAS card, Jen! Love the balance on your card. Wow! I love the little peek of Green! Thanks for inspiring!